Schea Van Lines is synonymous with quality and reliability in the professional moving industry. With years of experience, we can assure an affordable and efficient option for your next home or office move. Schea Van Lines's climate controlled facilities offer both short-term and permanent storage options. 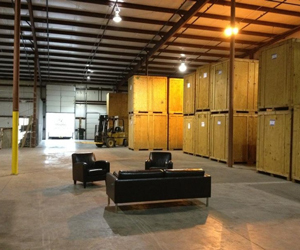 All items are pad-wrapped and prepared for storage upon arrival at our facility. Schea Van Lines offers residential moving services for homes of any size, from an apartment to an estate. Our company will help ease the transition into your new home in an efficient and affordable move. Schea Van Lines specializes in commercial projects, relocating your office or facility from point A to point B. Our specialists understand the importance of completing the move within your time frame. This strict time frame is key to minimizing the downtime of your business.